Nothing can turn holiday plans upside down like an unforeseen injury. Dreams of sun and fun on a warm beach or poolside can fizzle in a minute up against the reality of a sprain, strain, fracture, or stitches. Injuries don't have to occur at holiday time to radically change daily life. Many people exercise frequently, and many have memberships in health clubs. 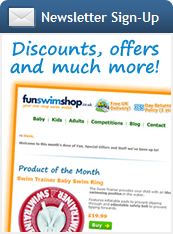 Swimming laps or other water work-outs are totally out of the question with such injuries. A pool party would have to be be spent on the sidelines. Even bathing, showering, and shampooing pose major problems. Life can't stop just because of such injuries. 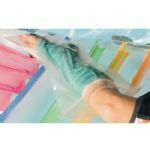 Wrapping the injured arm or leg in bin bags, or attempting to live life one-handed or one-legged, will be incredibly difficult to quite impossible. Fortunately, there is another way to do virtually everything you want, and that is possible with waterproof cast and bandage covers. Covers are a brilliant yet simple idea. They are made of durable, super-strong plastic to keep out every drop of water, no matter the activity. A comfortable plastic ring sitting right below the knee or elbow is a barrier to water as well. They are easy to put on and take off, no help is needed. Casts and bandages are protected from water, sand, and dirt. Not only are fun water activities possible. Washing up, gardening, or washing the dog or the car is made loads easier; it is certainly less tiring than doing it all one-handed or one-legged. There is much less stress on the uninjured limb, certainly less strain and pain all round. One word of advice, though. Perhaps letting friends and family know that work is much easier with the waterproof cast and bandage covers might be something to keep dark for awhile; it's nice to get all the help possible.